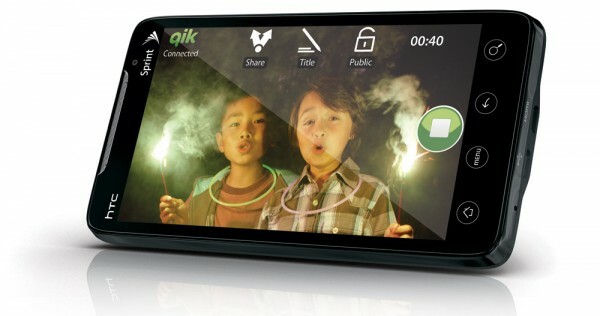 ­ Yesterday, Sprint dropped the details on the long-awaited and highly anticipated HTC EVO 4G. The phone, which we demoed at CTIA a few months ago, will finally hit store shelves on June 4th for $199 after signing a new contract and mailing in a $100 rebate. The HTC EVO is undoubtedly a game changer for the smartphone market since it’s the first phone to run on 4G, the first to feature a front-facing camera for video chat, and the first to offer a hotspot mode for up to eight users. While AT&T is still struggling to stabilize their 3G infrastructure, Sprint has leaped into the 4G market. Their Clearwire-powered network, boasts average download speeds of 3-6 Mbps and peak speeds reaching 10 Mbps. During our review of the Sprint Overdrive 4G in Seattle, WA and Las Vegas, NV, download speeds averaged just short of 4 Mbps. While 4G coverage only extends to 32 major cities now, Sprint plans to expand to over 14 new markets this year including New York City and San Francisco. The phone is also entirely backwards compatible with existing 3G networks for those living outside of 4G coverage. And as an added bonus, the HTC EVO can handle both voice calls and data transfers simultaneously when on a 4G network. This is something that the Droid Incredible unfortunately can’t do since it falls victim to Verizon’s CDMA network limitations. The HTC EVO’s 8 megapixel camera with auto focus and dual LED flash is impressive, but 1.3 megapixel camera on the front is what really sets it apart from competition. Sprint is the first domestic carrier to offer a device with a front-facing camera backed by a mobile video chatting service. While Sprint announced a partnership with Qik, which turns smartphones into live web cams, they kept information about a new upcoming feature under the wrap. An upgrade to the existing Qik App will enable the ability to place phone-to-phone video calls. All information currently indicates that the service comes at no additional cost. While science fiction movies have glamorized the idea of the video conferencing on mobile phones for years, Sprint is finally making it happen. 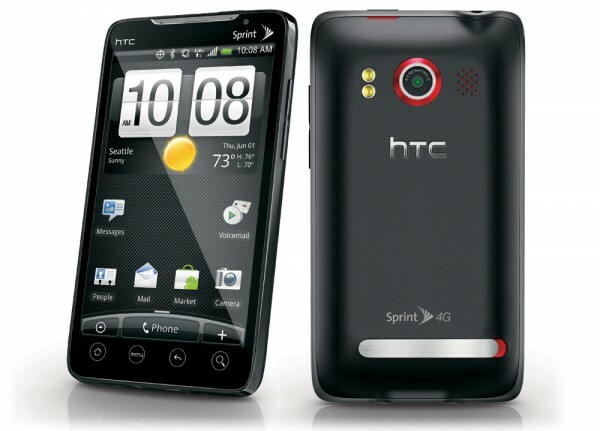 If that wasn’t enough, Sprint also threw in an App that turns the HTC EVO into a mobile 4G hotspot for up to eight users. Even their Overdrive, which was launched during CES in January, only can support five users at a time. If the EVO steps out of 4G coverage, the hotspot feature will still run on a 3G network. Although speeds are dramatically slower, it will still support the same number of users. Unfortunately, the hotspot feature will cost users an addition $30 each month unlike the free service included with the Palm Pre Plus on Verizon Wireless. With that being said, it’s still cheaper than the $60 Sprint charges each month for service on the Overdrive. In addition to a handful of revolutionary features, the HTC EVO 4G also sports an impressive specs. For starters, it runs on the same Qualcomm 1GHz Snapdragon processor that’s also found on the HTC Droid Incredible. The EVO packs 1GB of RAM while the Droid Incredible only offers 512MB. The phone runs on Android v2.1 with HTC’s Sense UI and offers access to over 35,000 apps in the Android Marketplace. Visually speaking, the HTC EVO stands out due to its impressively large 4.3-inch 800-by-480 pixel capacitive touch screen display. The latest version of Google Navigator comes pre-installed with free voice-guided turn-by-turn directions. And with an FM Radio, Visual voicemail, WiFi 802.11b/g, Bluetooth v2.1, an included 8GB microSD, and HDMI output, this phone has it all. Monthly service fees begin at just $69/month for unlimited web, texting, and calling. If the upcoming iPhone 4G, which was leaked over and over, doesn’t have some secrets in store, the HTC EVO 4G will be a big winner for Sprint. Sprint should have a review unit heading our way anytime now, so stay tuned. If you want to be notified when our full in-depth review goes live, subscribe to our RSS Feed or sign up for Email Subscriptions. We’re also on Facebook and Twitter! okpe, it’s not GSM. There won’t be a SIM card inside. Ofcoarse you can!! !….but you gotta either pay full price with same contract or a big discount but contract extends!……….shooot am leaving boost mobile on 6/04/10 baby!….finally what ive always wanted! Looks great! I just can’t find a stat which tells me if it is “Direct Connect” compatible. Anybody know??? My digital world is shattered! Perhaps they’ll make an app for that. lol! The EVO won’t even have the Skype App. That’s because the partnership between Verizon Wireless and Skype locks that down. It’s exclusive to only Verizon Wireless phones (Android, Blackberry). Even though it’s an Android App, it won’t appear in the marketplace on Sprint phones. Does anyone know if I purchase the phone outright will it port to the Boost Mobile network? I realize I may not get the 4G but I wonder if they will lock it down to only work for Sprint. I’m trying to see if I could buy it online but there all sold out. Does anyone one know what it cost instore at sprint. I have a feeling it might be more because of special delivery. Does anyone have an idea?? can you please tell me if their is any way to make the evo will work on gsm network.